India’s biggest foreign-owned money manager expects the nation’s economic growth and company earnings to be insulated from national elections even as stock market volatility increases in the run-up to voting. 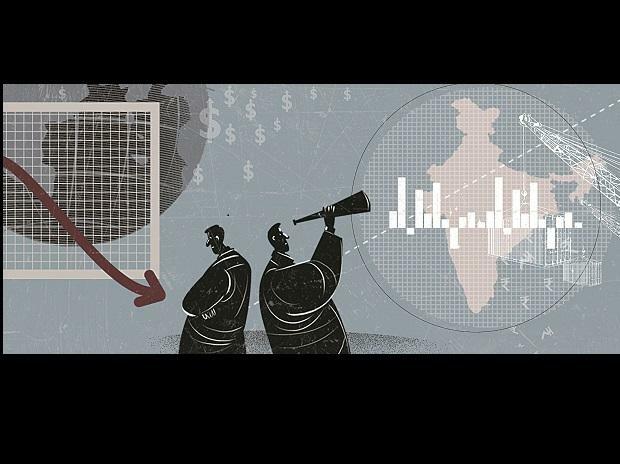 “Elections can only boost or dampen sentiment depending on the news flow, but they won’t massively impact the underlying earnings and economic growth of India,” said Anand Radhakrishnan, chief investment officer of equity at Chennai-based Franklin Templeton Asset Management India Pvt. “We will continue to invest in India’s consumption, infrastructure and reform story for the next 20 years,” he said at a press conference in Mumbai on Tuesday. A closer-than-anticipated battle for Prime Minister Narendra Modi’s reelection bid has left investors speculating over the outcome, with the worst-case scenario seen as a government formed from an alliance of many small and regional parties. At least three opinion polls released last month predicted that Modi’s Bharatiya Janata Party will fall short of a majority. Franklin Templeton isn’t too worried about the elections and is betting on banks, automobiles, consumer firms and software exporters to report good profit and revenue growth for the next few years. Moderate inflation, falling cost of capital and increasing foreign exchange reserves are the “key drivers” for the world’s fastest-growing economy, according to Radhakrishnan. Almost half of the 1.1 trillion rupees ($15 billion) that Franklin Templeton manages in India is in equity assets, according to data compiled by Bloomberg. Across the asset manager’s 22 funds, financial and consumer stocks comprise 41 per cent of its total holdings. The money manager also favours buying shares of some mid- and small-sized firms after gauges of these stocks capped their worst decline in seven years in 2018. “After the steep correction, valuations of small-caps are now acceptable and for mid-caps we are almost there,” said Janakiraman Rengaraju, a Franklin Templeton portfolio manager. Rengaraju favours stocks of businesses tied to disposable consumer income, such as makers of air-conditioners and other durable goods. “We also focus on businesses which show reasonable revenue and profit growth, surplus free cash, give good return on capital and managements that have a strong track record of implementing their strategies,” he said.